Located in the London Borough of Bromley, Bromley South Central is a mixed use Public Private Partnership (PPP) scheme transforming part of Bromley town centre. 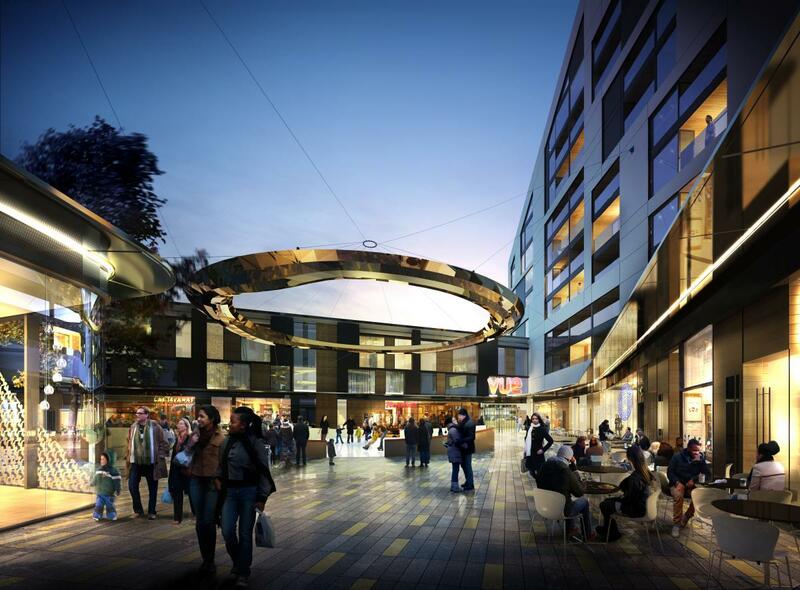 It is designed to kick start the regeneration of the south end of Bromley High Street. McLaren is managing the entire project. At the heart of a new residential and leisure quarter sits a 53,000 sq ft landscaped public square surrounded by a 29,000 sq ft multiplex cinema, 28,000 sq ft of cafes and restaurants, a business hotel, private and affordable apartments, and a new secure space underground car park. High priority is being given to the quality and quantity of the public realm. A new landscaped piazza around which the cafes, restaurants and other amenities will be grouped, creates an attractive environment and an ambitious level of public art. The residential element of the scheme is being built to Code for Sustainable Homes (CfSH) Level 4. Energy costs to residents will be reduced by 30 % through better insulation, good ventilation and the provision of an onsite combined heat and power system. The remaining building elements deliver an ‘Excellent’ BREEAM rating. Several tenants have already signed up to occupy the retail units situated around the public square once completed. The finished development will comprise 200 residential apartments, a 130 bedroom hotel, a nine screen cinema, nine retail units and a 400 space underground car park.